Firmware loading on the EL series can be done in both the Web interface and the CLI interface. In the Web interface, these pages are located in the System menu under File Management. No separate utility or software is required. The EL series supports the storage of multiple configurations in the switch, and up to two different firmware versions. 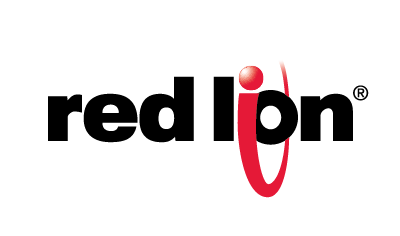 The most current firmware files can be downloaded from the Red Lion website @ www.redlion.net, under Support>Downloads>Wired Connectivity. Log into the switch with your username and password (default: admin/admin). Before loading another firmware version, you must check that there is only one firmware version currently on the switch. If there are already two, you must delete the inactive version. To check this, select the Delete menu under File Operations. Look for two items with the type as Operation Code. If there is only one, proceed to step 3. If there are two, check the box next to the one that is not the startup file (will say N) in the Startup column. Click Apply, and then proceed to step 3. From the File management menu, select the HTTP Upgrade menu. For the file type, select opcode. Click the Browse… button and select the firmware file you want to upload. Under destination file name, either select an existing firmware filename or type a new name in the box provided. Click Apply to begin the file transfer. A window appears indicating the status of your transfer. If this window does not appear, confirm that you do not have a popup blocker enabled on your Web browser. When uploading a firmware image, it can take a minute or two after the switch indicates a successful load for the newly uploaded file to appear in the other file management menus. From the File management menu, select the Copy Operation menu. In the first drop-down list, select FTP (or TFTP) to file to copy the new firmware image into the switch. Note that this does not make this the running firmware image. When uploading to a file, you must specify the FTP/TFTP server address, username and password (FTP only), file type (opcode) and the name of the source firmware image you want to copy. Under destination file name, type the desired filename in the box provided. This does not need to be the same as the source filename. Click Apply to begin the file transfer. A window appears indicating the status of your transfer. If this window does not appear, confirm that you do not have a popup blocker enabled on your Web browser. To set this image as the startup image, see scenario 4. It may take a few minutes from the completion of the transfer for the new file to appear in the file management menus. To load a firmware image from your FTP/TFTP server, type copy ftp (or tftp) file. The switch then initiates the transfer and indicates success or failure.